I have lived in Cebu for more than 3 years now and traffic can be such a bummer. This is a common problem for progressive cities anywhere in the world. Hassle, time consuming and stress inducing hours spent stuck in traffic can be detrimental to anyone's mental health. Patience can dwindle and honestly, who wants to stay in traffic all day? I read about GrabTaxi from one of my friends in Facebook. She liked the app and I had to try it out myself. Payday Friday is about to come and I needed to maximize shopping time rather than spend countless hours in taxi queues. Downloaded the app and voila! Taxi at your beck and call. With over 200 affiliated taxi fleets and 20 taxi companies, you will never be late again! July 2011 - Formed MyTeksi as a for-profit social start-up by Anthony Tan and ooi Ling Tan, two Harvard Business School graduates. This was their "save the world" idea after having experience enough taxi horror rides in Kuala Lumpur. The idea ranked 1st runner-up at Harvard's Business Plan competition. June 2012 - Officially launched in Klang Valley, Malaysia and ties up with Maxis Mobile. 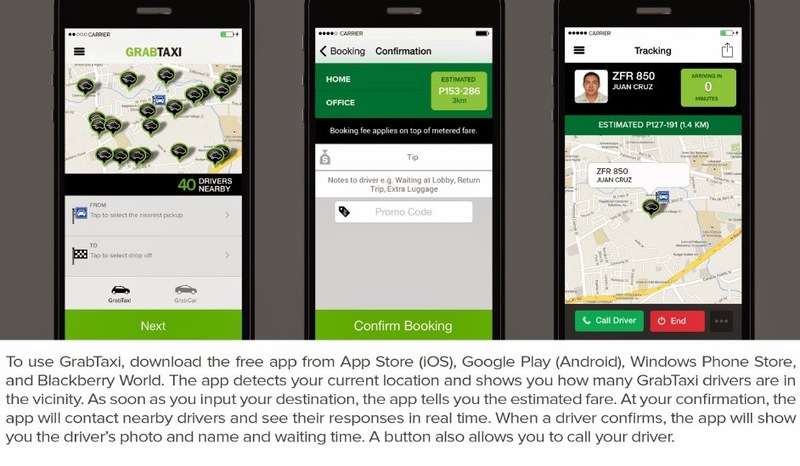 August 2013 - Launch in Manila, Philippines and now called as GrabTaxi PH. October 2013 - GrabTaxi PH ties up with Globe at the same time it was doing beta launches in Bangkok, Thailand and Singapore. 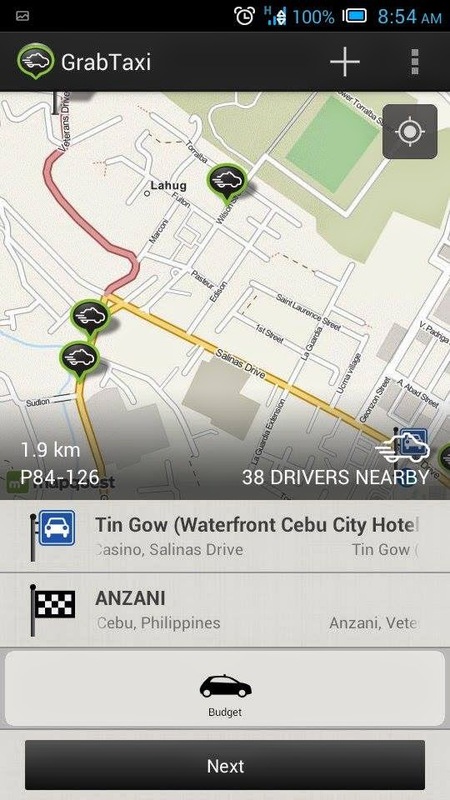 July 2014 - Official Launch of GrabTaxi in Cebu. From left to right: Bogart the Explorer, Sir Dejan VP of Marketing, Tasha Bautista and Mr. Brian Cu the co-founder of GrabTaxi Cebu. With its rapid expansion within 9 months, GrabTaxi is now the largest taxi booking app and one of the fastest growing for-profit social start-up companies in Southeast Asia! WOAH! Replicated but never beaten. 1. They have the Budget button to pick up how much it would cost from Point A to Point B. 2. You have the option to update your location to make it more accurate. When I tried the app, it states I was in Waterfront, I immediately changed it to IT Park with the use of Google Maps, Foursquare or Frequent Places. 3. It will show you how far away your driver is with the Tracking Option. 4. Share your experience over social media. This goes the same for when you are traveling alone. It will post a link as to where you currently are for your parents and friends to track you down.